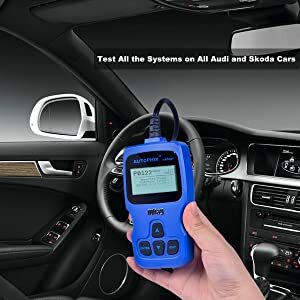 Looking for the best Transmission Code Readers in the market 2019? Then you’ve landed on the right page now. In this article, I’m reviewing the 5 best transmission code readers for OBD2 vehicles. I’ve picked out the Top 3 Transmission Code Readers in the Comparison Chart below. 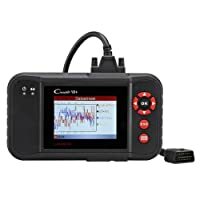 Let’s have a closer look at the best transmission code readers in details. Suitable for ordinary car owners who want to leave the device plugged in and collect transmission codes as well as real-time transmission data. If you would rather have an adapter than a stand-alone scanner then FIXD OBD-II code reader is well worth your consideration. This transmission diagnostic tool is compatible with both Android and iOS devices. It comes with the FIXD app for OBD2 diagnostics. Once the app is installed on your smartphone or tablet the adapter will be good to check your transmission system. 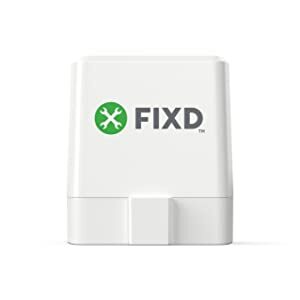 FIXD OBD-II will pull and erase codes, and by doing so help you reset the Check Engine Light when it comes on due to transmission-related problems. One of the reasons why some people consider FIXD to be the best transmission scanner is because of its data display. In addition to code definitions, you can view live data of the transmission system. The data comes in text format as well as PIDs (graphs, gauges and charts). 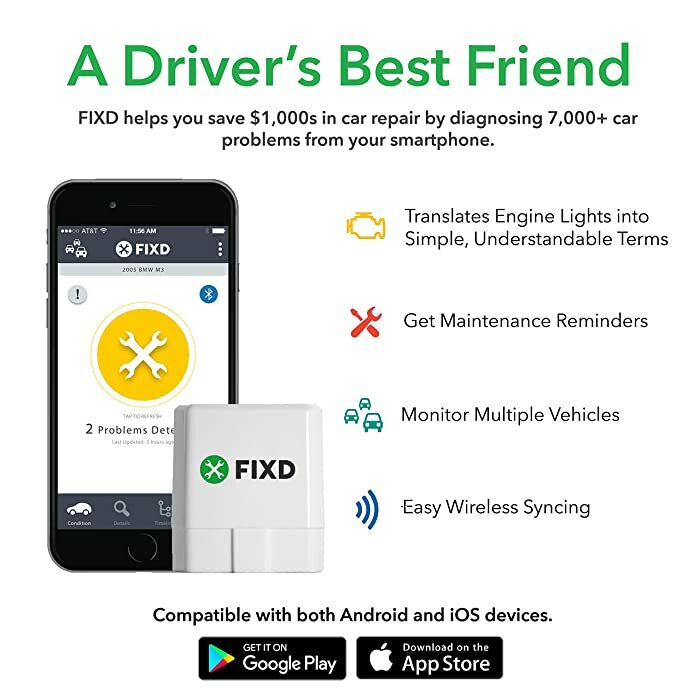 FIXD helps you save money in repair by diagnosing 7000 car problems from your smartphone. 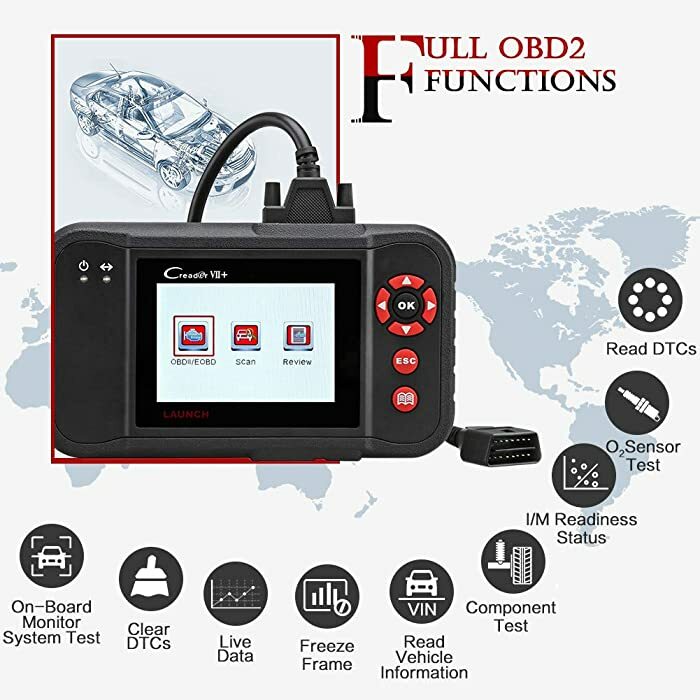 Although this tool is designed for all OBD2-compliant vehicles, its transmission diagnostic function is limited to Chrysler, Ford, Honda, Nissan, and Toyota. Meaning you can use it to check the engine of any OBD2 car, but when it comes to transmission only the 5 brands are supported. Who is FIXD built for? The FIXD transmission code reader is suitable for ordinary car owners who want to leave the device plugged in and collect transmission codes as well as real-time transmission data. Autel’s Diaglink is the best transmission scanner for the DIY mechanic who works on one or a few brands of cars. It may be a full-system scanner but the Autel Diaglink is especially outstanding in checking the transmission system. With it, you can read and clear transmission codes. Usually, after clearing trouble codes the Check Engine Light (CEL) should go off, assuming the problem was in the transmission. Built with a color LCD screen, the Autel Diaglink features a simple and intuitive interface. That is one of the reasons why it’s among the best transmission scanners. Upon purchase, Autel will give you the software for one vehicle for free. The good news is that you get to choose car make and model that you want to use this transmission code reader with. By contrast, the bad news is that if you want to increase its vehicle coverage you will have to pay $10 for every additional car model. Autel Diaglink is easy to use with simple and practical size. As long as we are talking coverage, this transmission diagnostic tool is compatible with almost all mainstream OBD2-compliant cars. As a matter of fact, it supports all 10 modes of OBD2. In other words, as long as your car is a 1996 or newer model it’s almost certain that the scanner will be compatible. You only get software for one car make. Expanding coverage requires payment. Who is Autel Diaglink built for? 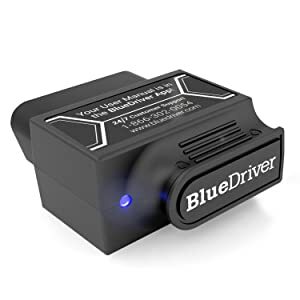 The Bluedriver transmission code reader is ideal for car owners who want to use their smartphones and tablets to check transmission codes and live data. 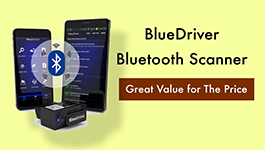 The Bluedriver Bluetooth scanner is yet another OBD2 adapter that pairs with mobile devices to perform diagnostics. As you can tell from the name, it uses Bluetooth to connect with smartphones and tablets. More importantly, this adapter is compatible with both iOS and Android devices. Plus it works on all OBD2-compliant vehicles. That wide compatibility is why some folks out there call it the best transmission scanner. Needless to say, it does deliver impressively. For starters, it comes with the Bluedriver App, which you get for free after purchasing the adapter. Combined, the two allow you to pull transmission codes from your car. You can view confirmed, pending as well as permanent trouble codes. 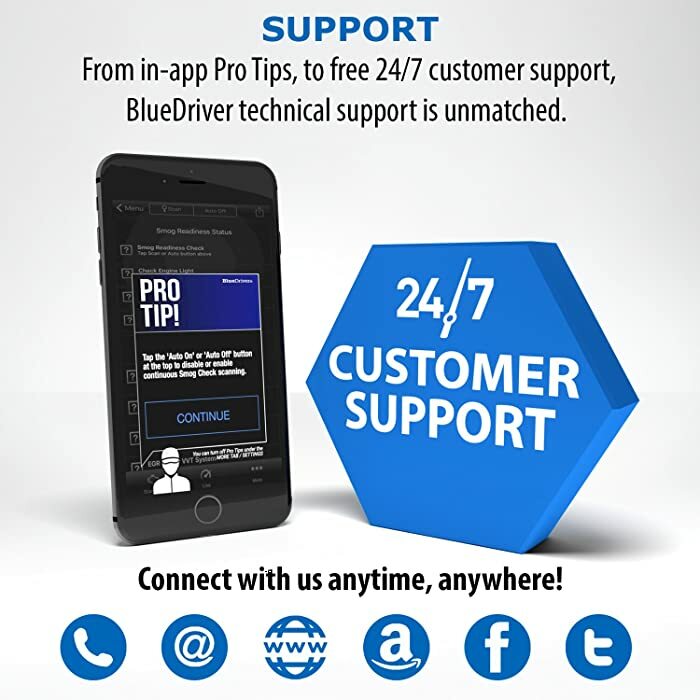 Bluedriver Bluetooth technical support is unmatched. 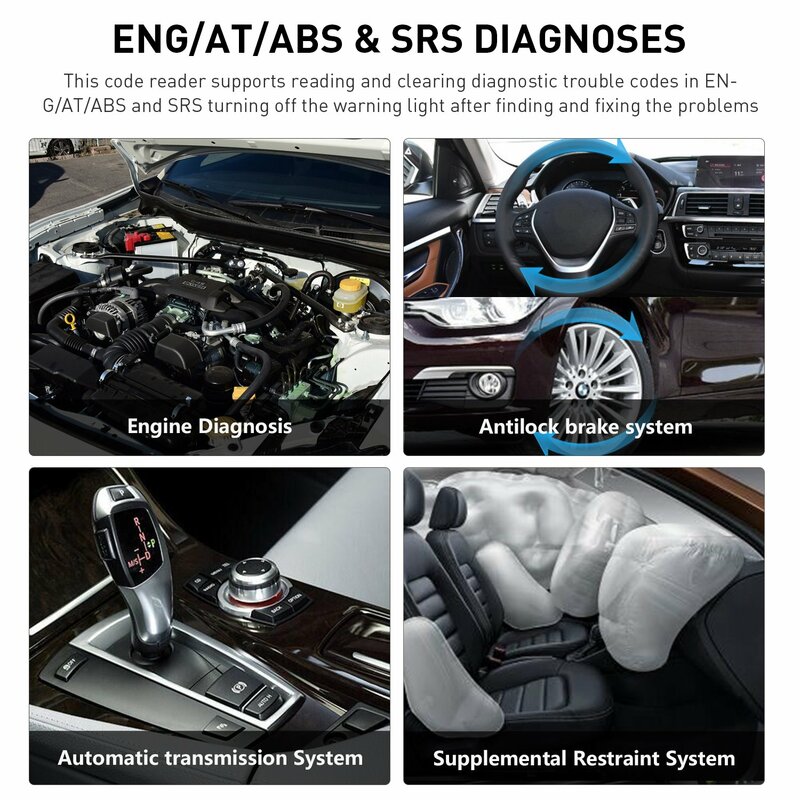 The scanner offers code definitions to help you understand what exactly is wrong with your transmission. In case the Check Engine Light is on because of a problem in the transmission system you can reset it by clearing those codes. Besides that, it allows you to view live data from the transmission. It’s worth noting that while you can use the Bluedriver scanner to pull engine codes on any OBD2 car, transmission diagnostics is only possible on BMW, Chrysler, Ford, GM, Honda, Nissan, and Toyota. Who is Bluedriver Bluetooth scanner built for? Launch Creader VII+ is your typical DIY tool meant for enthusiasts who frequently need to diagnose the transmission and other systems. Launch makes some of the best transmission scanners, and the Launch Creader VII+ is one of them. 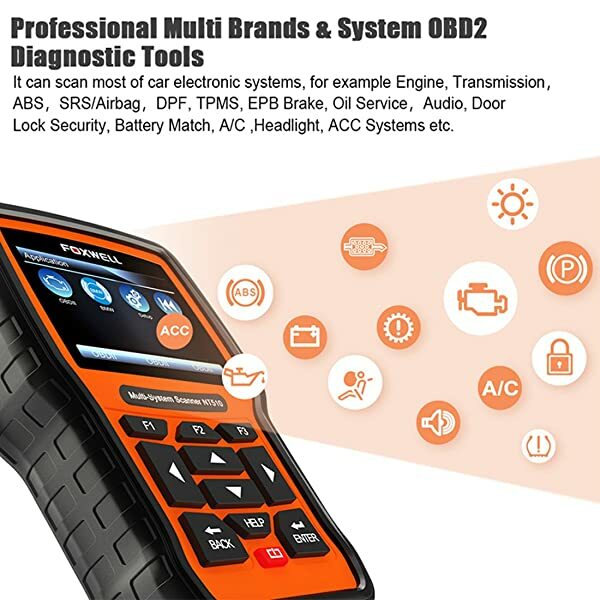 A full OBD2 diagnostic tool, this scanner covers a wide range of domestic, Asian and European car brands. They include Ford, GM, Chrysler, Benz, BMW, Fiat, Opel, Volvo, VW, Accura, Honda, Hyundai, Kia, Lexus, Mitsubishi, Nissan, Peugeot, Subaru, and Toyota. For confirmation’s sake, be sure to check Launch’s website whether your car is covered. In terms of functionality, this transmission diagnostic tool can pull and clear codes from the transmission system. Additionally, it can display live data from the transmission system to help you know whether the car’s speed and load match its transmission’s output. Launch Creader VII+ helps you tackle the problem of your car with remarkable functions. Built with a full-color screen, the Launch Creader VII+ has the ability to identify a vehicle automatically. It features auto VIN which not only detects the make and model of your car but also shows its VIN, CID, and CVN. Just in case you’re wondering, this transmission scan tool also gives you access to other systems, including engine, ABS and SRS. Who is Launch Creader VII+ built for? The ML629 Maxi Link is perfect for enthusiasts who need to check codes and view live data from the transmission. 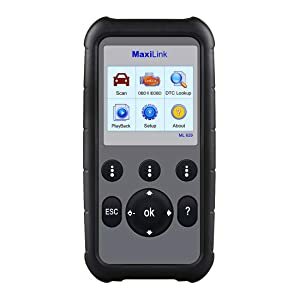 Autel’s ML629 Maxi Link is an entry-level transmission diagnostic tool that covers OBD2 compliant vehicles. It works on almost all mainstream cars that were made from 1996 onward. That includes domestic and foreign brands. Featuring a full-color screen, this ergonomic scanner reads and clear trouble codes from the transmission system. After pulling a code it will give a brief description to let you know exactly what the issue is with your transmission. In addition to that, the transmission code reader offers live sensor data. As far as transmission goes, you can track both transmission speed and pressure. Besides, it supports the storage and playback of live data. That makes it easy to retrieve the parameters the next time you need them. Who is Autel ML629 built for? 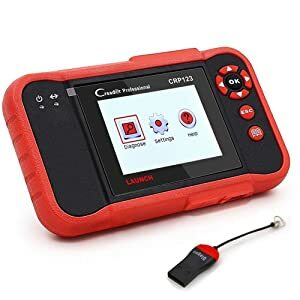 Launch CRP123 transmission code scanner is for professional mechanics looking for a high-end scan tool that delivers what it says. The Launch CRP123 is designed with quality standards. It offers more features than many OBD2 scanners out there at the same price range. But if you’re on the lookout for a newbie-friendly simple scanner then this product is not for you. Launch CRP123 has an intuitive design. It is small, compact, and fits in the pocket perfectly. The transmission scanner is aesthetically appealing with its black and cherry color combination. The CRP123 has broad compatibility. You can use the tool with all OBD2 enabled automobiles. It is able to present data instantly. You can also save the data for later use. And the engine scan history can be recovered anytime in future. With its 7.8 inches in breadth, 1.7 inches in height and 1.4 overall, weight, the scan tool is very portable. This transmission code scanner does not require installation or software to run. Once it is connected with Port, and touching the right button on the screen, it begins diagnosing the engine. You can use Launch CRP123 to test the different systems including Engine, ABS, Transmission, and SRS. Who is Launch CRP123 built for? The Launch CRP123 transmission scanner is for DIYers looking for a transmission scan tool that delivers what it says. If you are looking for a tool to help you do-it-yourself, Autophix V007 is the perfect product that you’ll find. It is compact and lightweight enough to carry anywhere. Are you looking for a scan tool that works on a wide range of vehicles? Autophix V007 ends your search. The device is one of the best transmission code readers available in the market. It is a cost-effective scanner which helps analyze loads of vehicle problems. 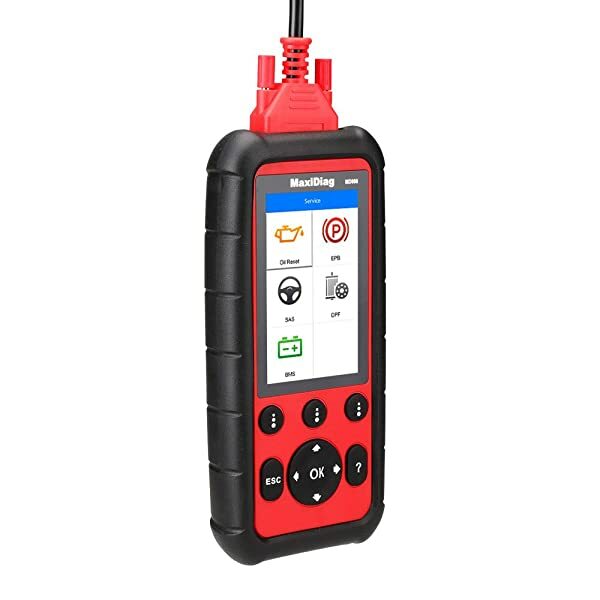 This transmission code reader is compatible with the majority of OBD II vehicles. The tool can check all systems including transmission, Airbags, Immobilizer, and so on. It contains a multiannual menu which contains various languages including English and German. Autophix Udiag V007 is equipped with an easy to read display which displays vital data stream. The transmission code reader comes at a pocket-friendly price, yet contains all basic features required. Graphics are not visually appealing. Even so, it is worth the price. Who is it Autophix V007 for? The Foxwell NT510 is a good pick for anyone looking for a BMW scanner under 200 USD. 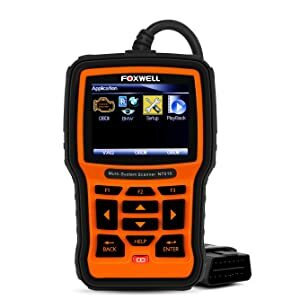 Foxwell NT510 is a quality transmission scanner. It allows BMW users to perform similar deep engine analysis carried out at BMW dealerships. The Foxwell NT510 scanner works on most 1996 to newer BMW models. This transmission scanner is a cost-effective tool that provides advanced features like component actuation. It is also able to read and erase codes as well as reset oil reminder. The Foxwell NT510 is a handheld gadget that does not require a laptop. Any problem light indicator turns off once the problem is fixed. The Foxwell NT510 supports all system diagnosis, including Transmission. Foxwell NT510 is a good pick for anyone looking for a BMW scanner under 200 USD. It provides features that are often only available at BMW dealerships. Autel MaxiDiag MD808 Transmission Scanner is recommended for those on the lookout for affordable option offers. 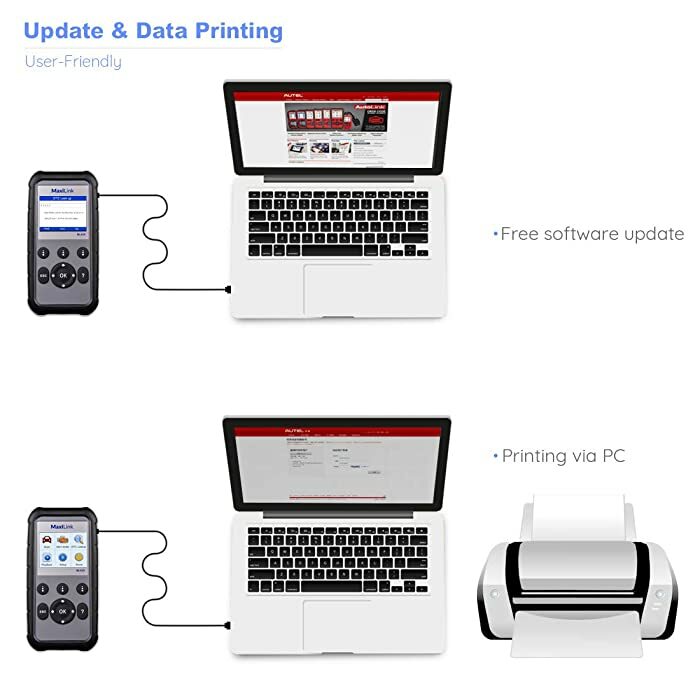 The device offers all the necessary functionalities you would expect from a standard scanner. If you want to figure out what is wrong with your engine, the Autel MD808 is what you need. It’s undoubtedly one of the best transmission code readers at the moment. This Autel Scanner can scan and erase unwanted codes. Also, it test and control oil reset, BMS, DPF, EPB, and SRS. Autel MD808 offers diesel particulate filter regeneration, steering angle sensor, battery registration, and oil service rest. The scanner is a four handheld gadget. And it provides global OBD-II coverage for a wide variety of vehicle brands and models. 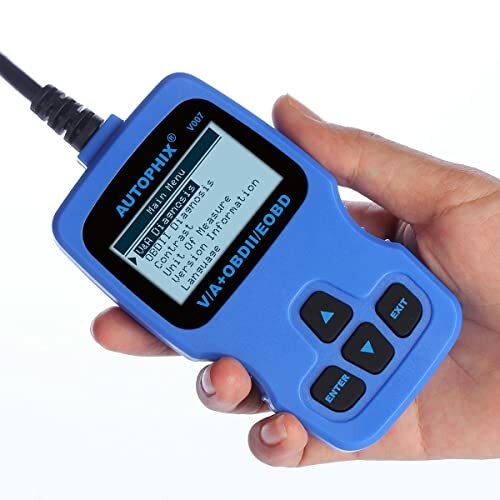 Autel MD808 is one of the best transmission code readers in the market. Offers all module scan capabilities. Fast and easy for newbie and professional mechanics to use. Equipped with an intuitive color display. Who is Autel MD808 built for? 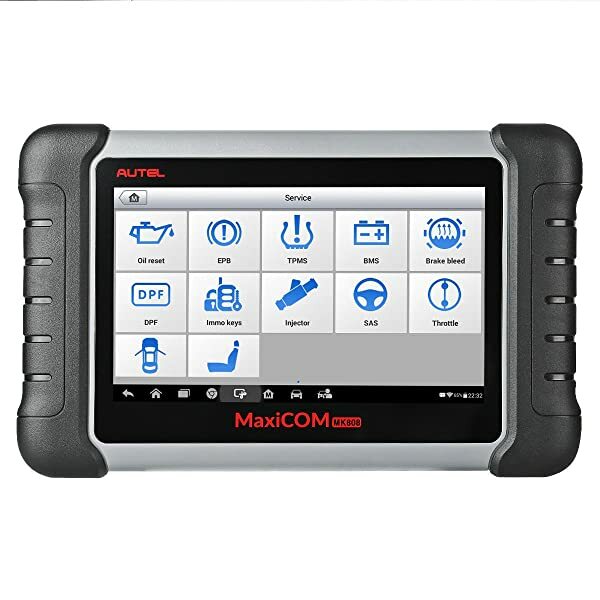 Autel MaxiDiag MD808 Transmission Scanner is for those on the lookout for affordable option offers. The device offers all the necessary functionalities you would expect from a standard scanner. 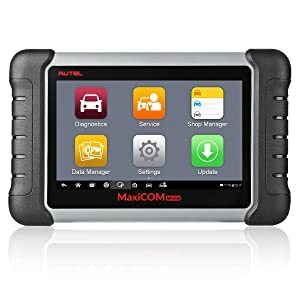 Autel MaxiCOM MK808 Transmission Scan Tool is a great choice for anyone looking for a budget scanner with great features. MaxiCOM MK808 Transmission Scan Tool has all the primary features you would want out of an OBD2 scanner. Autel MaxiCOM MK808 is able to be used with 1996 US-based, 2000 EU-based and newer vehicles. The 7” touchscreen display makes it easy to read what is on it. MK808 can do full system diagnosis including ABS, SRS, and Transmission, etc. It can reset the battery management system and DPF/SAS/BMS/EPB systems which are used for safety maintenance of vehicle systems. The scanner has an in-built WI-FI for software updates. However, a card reader or USB is required for a software update. The fact that it comes with in-built WI-FI and is compatible with all OBD vehicles makes this tool a great choice. 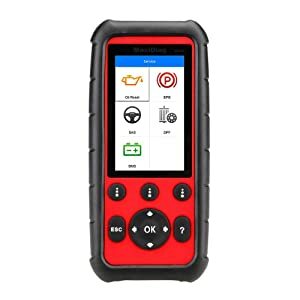 The Autel MK808 scanner is a great choice for mechanics who are looking for a transmission scanner with great features. 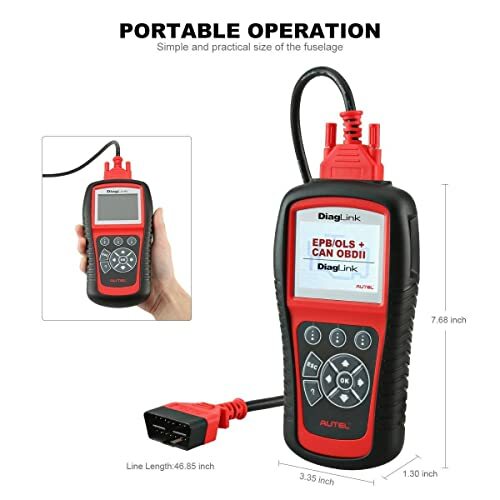 Ancel AD410 is a budget OBD2 scanner which can work with check engine codes to help you diagnose basic problems with your vehicle. Today we are going to look at two systems in particular to broaden your understanding of some of vehicles crucial elements. Launch X431 CRP423 Review: Special Features – Vehicle Coverage – Comparison Chart (Launch X423 vs Autel MD808 Pro vs Innova 3160g. AUTOPHIX V007 is a super scanner for V/A Series and OBD II vehicles, it can test all VW, AUDI, SKODA and SEAT series vehicles. For Mercedes, You should take Launch CRP123. 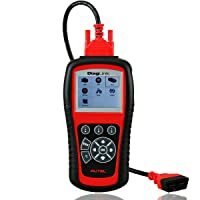 I would recommend the Autel Diaglink DIY version of Autel MD802 for your Dodge. But make sure that your vehicles are OBDII-compliant. So this 2Autel Diaglink after one use of this then Im gonna start paying for each other vehicles even just to scan another vehicle correct? If so! Autel MaxiCOM MK808 is an excellent pick for your case..